Remain informed about our upcoming events and remain engaged. 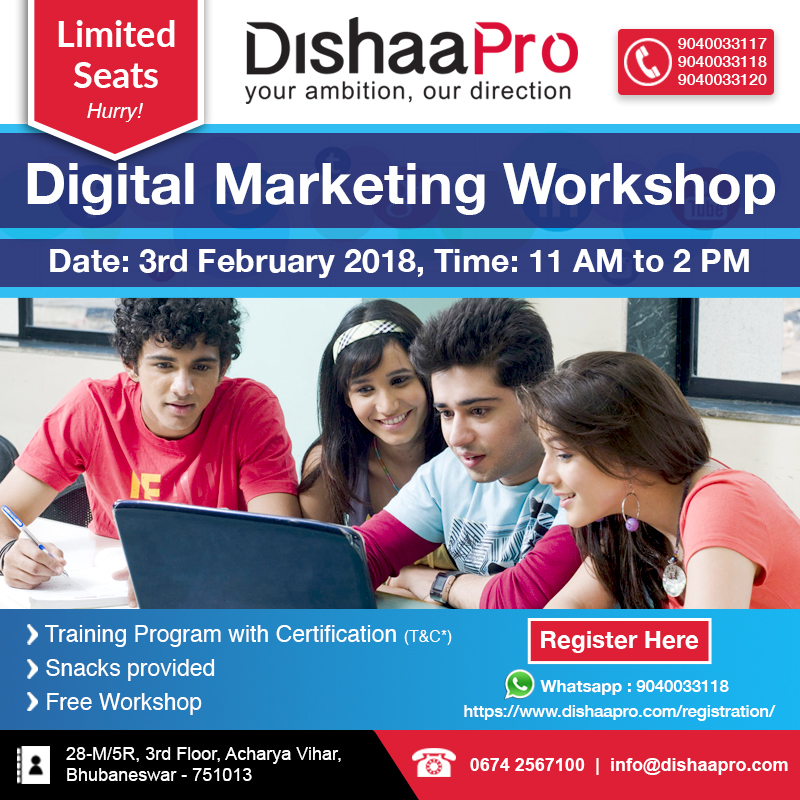 DishaaPro is conducting FREE Training WORKSHOP for students, job seekers, professionals, bloggers, entrepreneurs, retailers, small business owners, YouTube channel owners, Facebook/Instagram page owners on DIGITAL MARKETING. This course is suggested for anyone who is eager to learn or wants to make a Professional career in Digital Marketing.